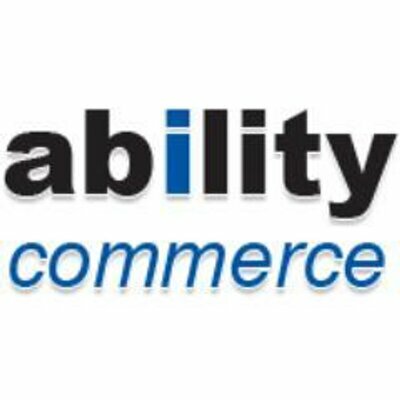 Ability Commerce offers a suite of solutions for growing retail businesses, enabling them to increase revenue, reduce overhead and engage with their customers. The company partners with Google, Microsoft and more to develop comprehensive retail solutions, and was named to the Internet Retailer’s 2016 Leading Vendors of the Top 1,000 E-Retail Clients. Ability CCS is an end-to-end Enterprise Resource Management (ERP) platform for single-channel and multi-channel retailers. Ability CSS handles the entire lifecycle of your daily business operation, from supply chain management and inventory control through to post-sales, including a marketing campaign management module with built-in promotions and pricing features. Ability SmartSite includes filter and navigational features that comprise a superior onsite search functionality. SmartSearch is a fast, accurate on site search tool that can operate independently of SmartSite and can be integrated with other eCommerce platforms.